Why did Bethlehem and Philadelphia loan a top player for nothing? 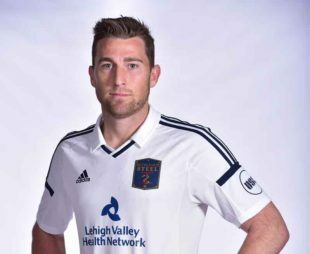 The Steel’s game at Montreal on Sunday marks exactly one month since Bethlehem Steel loaned center back Mickey Daly to the Carolina Railhawks on a one-month loan with an option to purchase. In hindsight, it also marks the moment Bethlehem’s playoff chances may have died. Since the former USL all-star’s departure, the Steel have lost to the three counterattacking teams they have played. For a punchless team like Bethlehem, clean sheets are essential to earning points. Daly and fellow center back Auston Trusty meshed well during their mid-season stretch of playing together. Their replacements have demonstrated why they were backups and lacked chemistry and efficiency. With Bethlehem’s rail thin roster, they just didn’t have the quality and quantity of depth to adequately replace Daly. The Daly move seems surprisingly generous to Carolina, as no benefit to the Union or Steel has ever been identified. Neither the Railhawks, the Steel, nor Philadelphia Union mentioned anything about what Bethlehem would receive in return for the loan. Making a loan free of charge is not in the tradition of the Dutch, the inventors of the capitalism that was transmitted to the United States by the British. Nor is a one-way exchange common among the practices of Billy Beane and Moneyball. So what did Bethlehem and the Union get? What did Earnie Stewart get? It is not likely that Union Sporting Director Earnie Stewart loaned Daly to Carolina for nothing. But nothing has been said about compensation for the month of Daly’s absence. Money has been mentioned in all other Union transactions made under the aegis of the affable, shrewd Dutchman, but in the Daly deal, there was no mention whatsoever of money. There has been clear cost paid by the Steel during the month on the pitch, with no playoffs. So, perhaps, Daly’s absent month is not being repaid in money. 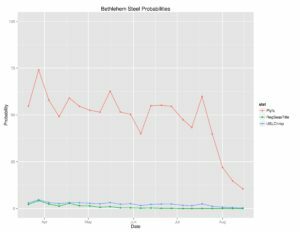 The sharp decline Bethlehem’s playoff chances in the Seba projections by PSP’s Chris Sherman coincides with the Daly loan. An IOU from the past? No money for Daly’s month leaves two possibilities. Either a favor from the past was being repaid. A favor in the future would be collected. Philadelphia Union’s history with the Carolina Railhawks centers on goalkeeper Brian Sylvestre. Sylvestre was known to Jim Curtin from his time with Harrisburg, including a U.S. Open Cup start against the Union in which he played well. As the Goalkeeper Fiasco of 2015 unfolded, Sylvestre came in on emergency loan when none of the original three goalkeepers were available. Lasting all season had not been the original plan. Former Union draft pick Dzenan Catic ended up on the Carolina bench in return. Did the 2015 Sylvestre situation also include an IOU that Carolina redeemed a month ago? Or is the 2016 circumstance different? Setting up a future deal? The Union have typically preferred to acquire players they already know. They know Sylvestre well, after more than half a season of starts. Fellow goalkeeper Matt Jones is a loan. John McCarthy has clear limits along with his wonderful qualities, limits Sylvestre has shown he exceeds. Furthermore, the NASL side has three goalies on its roster. Carolina added 22-year-old Macklin Robinson this past spring. Akira Fitzgerald has 10 starts for the ‘Hawks, while Sylvestre has eight. Could it be that, if Daly succeeds with the NASL side and they buy him, then Sylvestre gets sent outright to the Union? Such a deal would have mutual benefits. Carolina would reduce its keeper inventory and strengthen its back line without increasing its number of salaries. Philadelphia would replace Jones for 2017 with a younger, proven MLS-level backup. John McCarthy’s defensive leadership would become available to the Steel more frequently at a time when they are likely to want it, behind a center back tandem of 2016 Union Academy graduate Auston Trusty and 2017 graduate-to-be Mark McKenzie. Carolina needed Sylvestre at the beginning of the season to backup Fitzgerald. Now they have a cheaper, younger option. The Union would replace Jones’s loan in 2017 with a wholly owned asset likely to appreciate, particularly once the inevitable, lamented sale of Andre Blake occurs. And McKenzie and Trusty would be better positioned for future successful development. There is no evidence. It’s just a theory. Totally forgot about that move. Sound theory. Bringing Sylvestre in for a USL veteran when Jones’ loan is up sounds like an Earnie move. Fret not, trust the process. Did anyone ask the Steel coach about the situation? I did so gently at the time and got nothing from Coach Burke, properly so as the loan is not an on-pitch, technical staff matter. Two email inquiries to Union communications people went unanswered, for whatever reasons (see Derrick Jones, Alejandro Bedoya, Sebastian Le Toux, Charlie Davies, and Auston Trusty if you want to speculate). I intend to ask Coach again later today, assuming the planned opportunity is not obstructed by more important developments. Good stuff, Tim. You should document those attempts in your pieces in the future. I don’t think anyone really expects you to put a ton of work into a story for which you’re likely not being paid, but if you are putting in the work, let us know. Well done. Asked Coach Burke today, earlier this afternoon. He expects the Daly situation to be fully resolved next week. His tone was quite certain. I would take Sylvestre here as #2 goalkeeper in a heartbeat. I was a bit upset when he left. Such a calming influence on the back line. We should be grooming him to take over when we inevitably sell Blake. Were such a move actually realized, I would agree. But as he says, he has not a scintilla of supporting evidence. Had it been a history class, he gets an A for imagination, but an F for no evidentiary support whatsoever. I would really like to see Brian Sylvestre back here as the steel GK or as Union’s backup next season. People will hate on me for saying it, but he is far better than McCarthy. That’s why Curtin played him more last season. Either way, I’m sure union/steel will get something decent back if Daly gets purchased by Carolina. Agree on Sylvestre. He was at least good backup quality. You won’t get any hate from me. I, too, would take Sylvestre over McCarthy. But wait a minute…would the union even be able to aquire Brian Sylvestre if the summer transfer window is closed now? I think so. Moves within the league are not prohibited for now, and this would be fully within USSF’s purview, no international dimension. If it were to take the form of a trade between NASL and USL, the rules applicable to both leagues would apply. MLS would likely have nothing to do with it. I believe the roster is at 28 out of 28 if you include trusty, at least according to MLS rosters on their website. But you’re right, if they added Sylvestre to Union roster, they would need to clear a spot.